42 Days to Make the Launch. Wasn’t Even Close. Honeywell came to ACE with a huge problem. 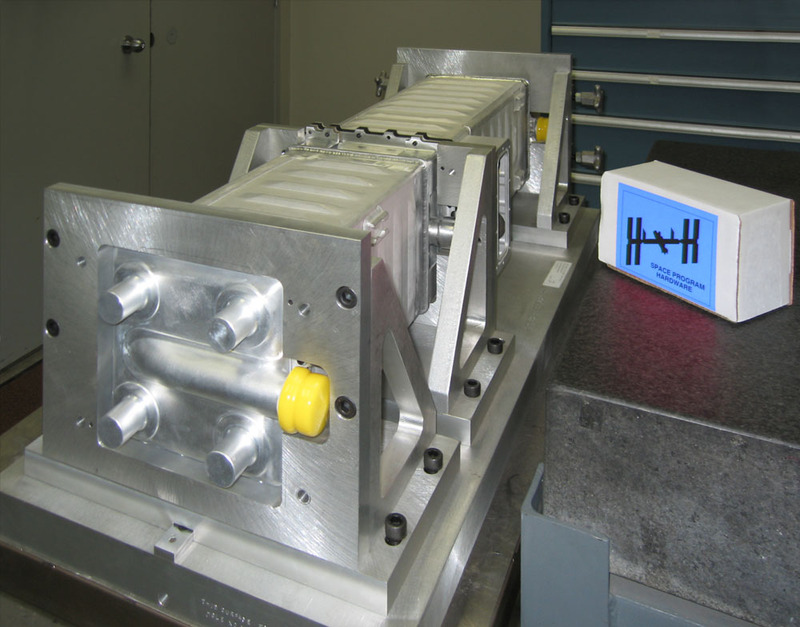 The Carbon Dioxide Removal Assemblies (CDRA) were failing in the International Space Station. Three were down, and NASA only had three left. Plus, there were only 42 days before the next launch window. A bed of dust-sized particles of Zeolite are contained within the units — reactants to CO2. The Zeolite performs the process of subtracting the carbon from it. However, due to faulty seals, some of the particulates were circulating with the movement of process air and trailing out of the CDRA to other vital “downstream” components — resulting in malfunctions, as with the Air-Save Pumps. 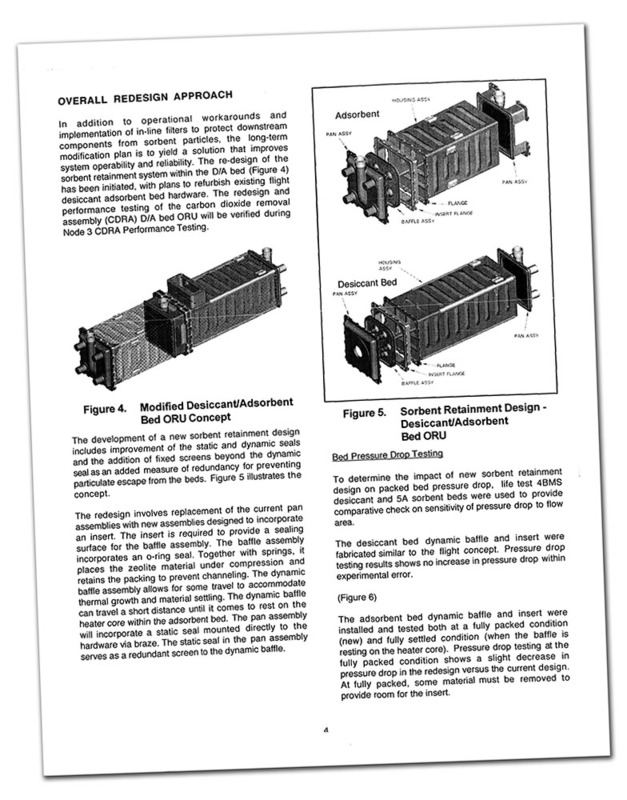 A Honeywell redesign was implemented to correct the problems and ACE’s teams set to work. The outer casing sections were created with titanium, in sections, on our drop hammers. 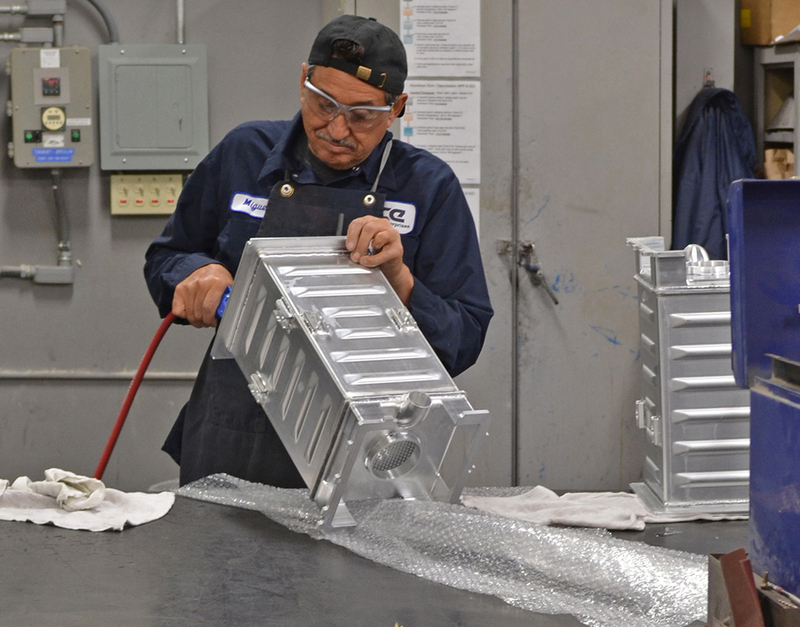 They were transported to ACE’s Torrance work centers and joined by other milled components for assembly. 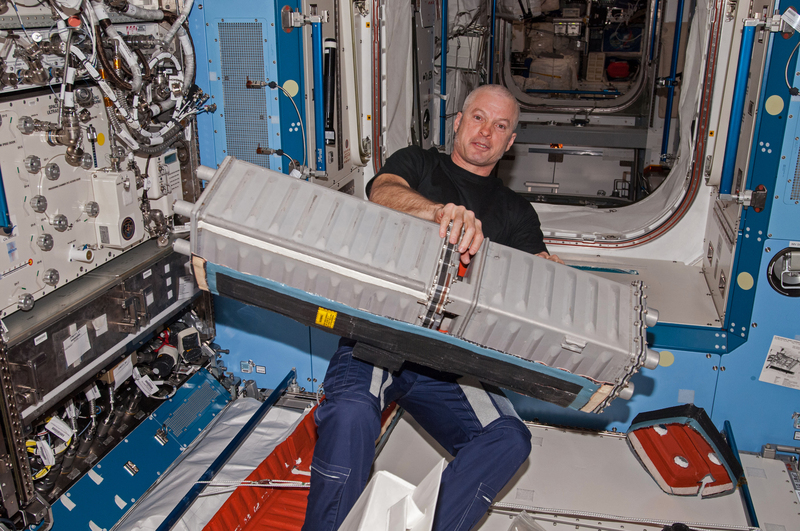 NASA astronaut Steve Swanson, Expedition 39 flight engineer, is smiling because he has the assistance of zero gravity to lift such a large apparatus – the Carbon Dioxide Removal Assembly (CDRA) Desiccant/Adsorbent Bed. 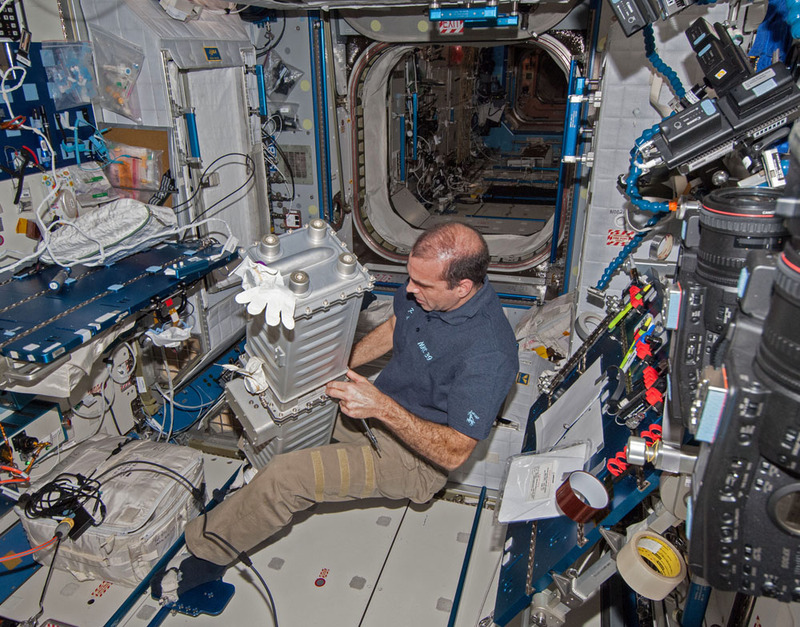 Steve wrestling with one of the CDRA in zero gravity – in the Kibo laboratory of the International Space Station. ACE milled precision endcaps from solid stainless steel on our medium-sized CNCs. Several different chamber dividers were required and milled. All components were made spotlessly clean to not impair the devices from doing their vital jobs. A custom fixture insured that the assemblies fitted perfectly so that the tacking and welds were straight, sound and free of flaws. Couplings had to be exact to correct the failure issues experienced with the older design. 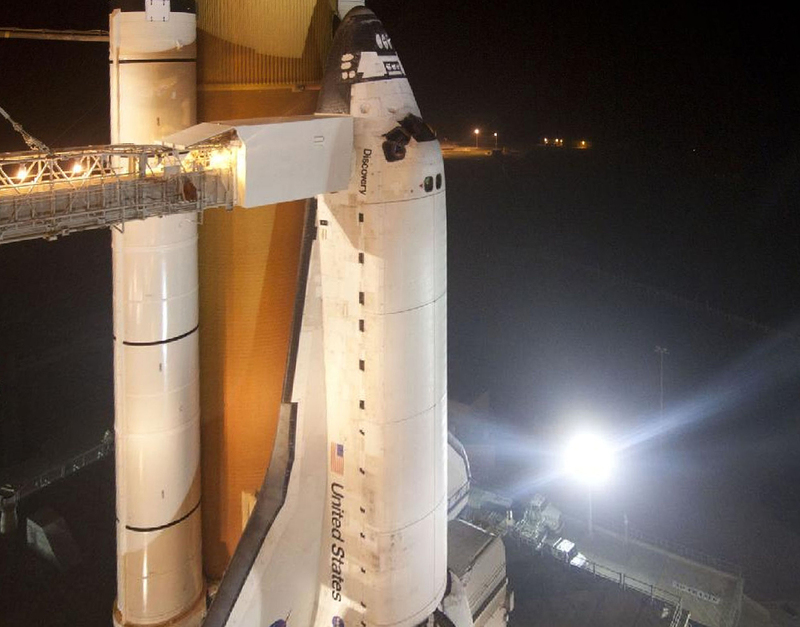 Meanwhile, space shuttle Discovery is readied and loading at Cape Canaveral. 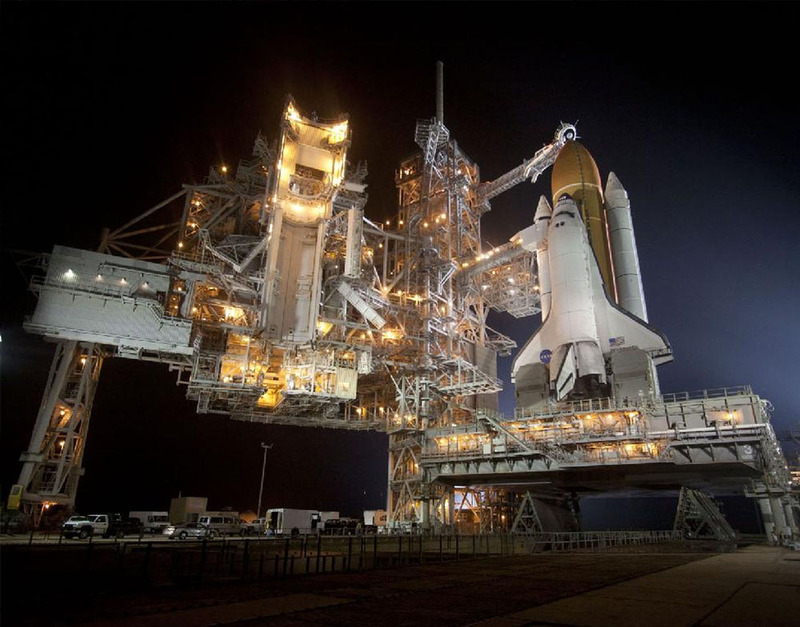 Space shuttle Discovery sits on her launch pad at Kennedy Space Center ahead of the mission, her last. 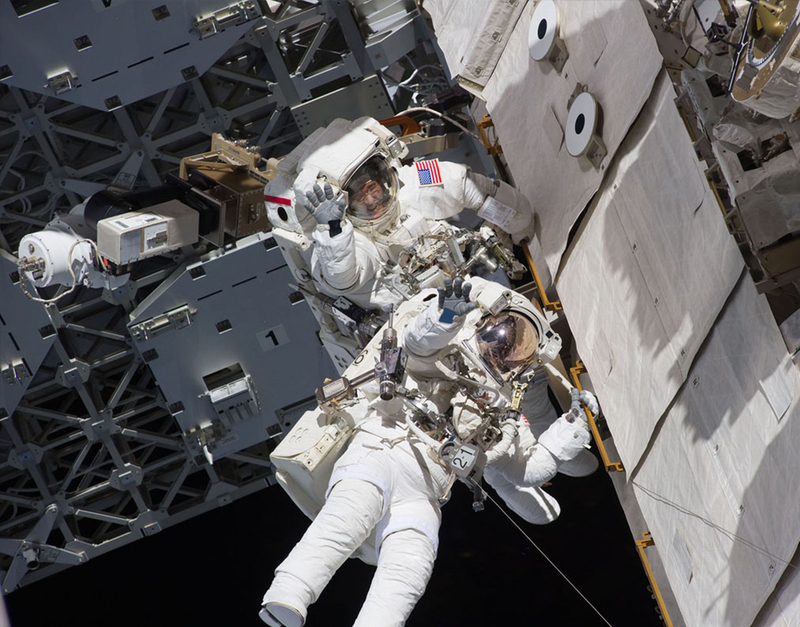 Astronauts Steve Bowen and Alvin Drew wave during their first spacewalk, working outside the ISS during the delivery of the scrubbers. 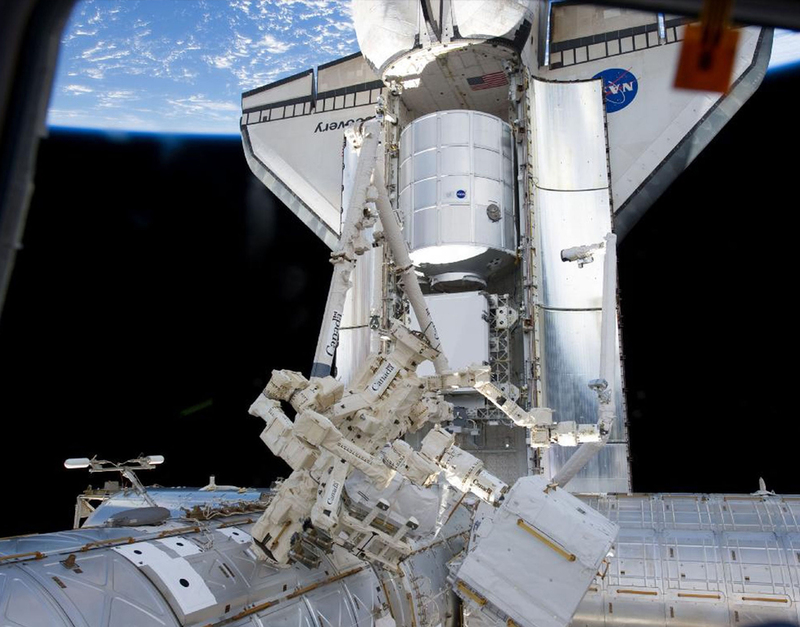 A massive boom and robotic arm unloading NASA's Permanent Multipurpose Module (at top) and cargo from Discovery's hold, 250 miles above the Earth. Success! 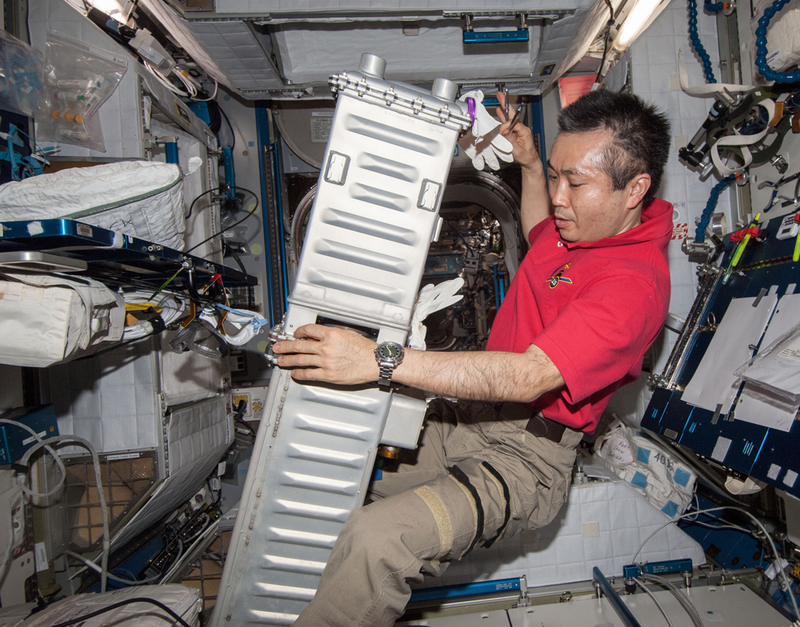 Expedition 38's Commander Koichi Wakata works in the Harmony Node to prepare for re-installation. Astronaut Rick Mastracchio works on one of the replacement CDRA tanks. The tanks made history when the Discovery delivered them on her historic last voyage. 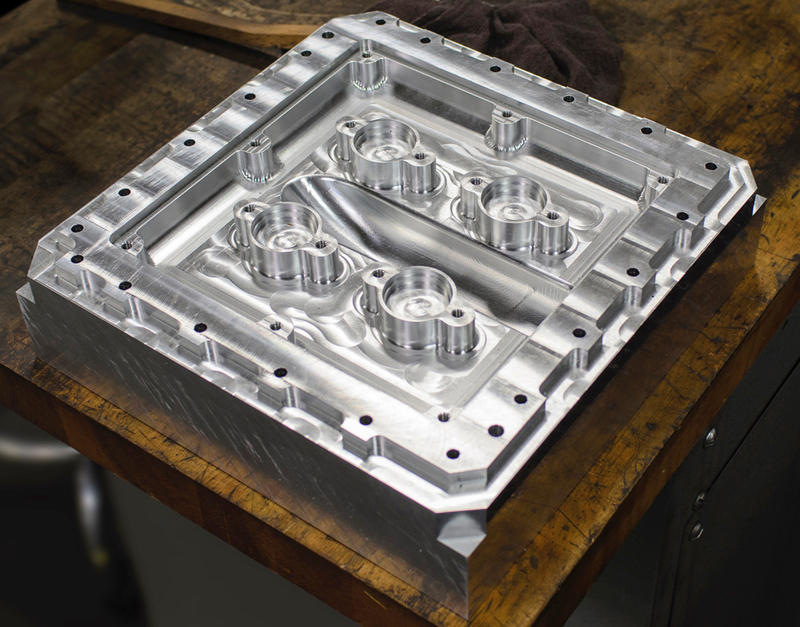 The inner chambers and end caps were carved from pure stainless steel on our CNC’s. The outer housings and endcaps were fine-tuned by our deburr team. Precise seal connections were manufacturered in the machine shop. 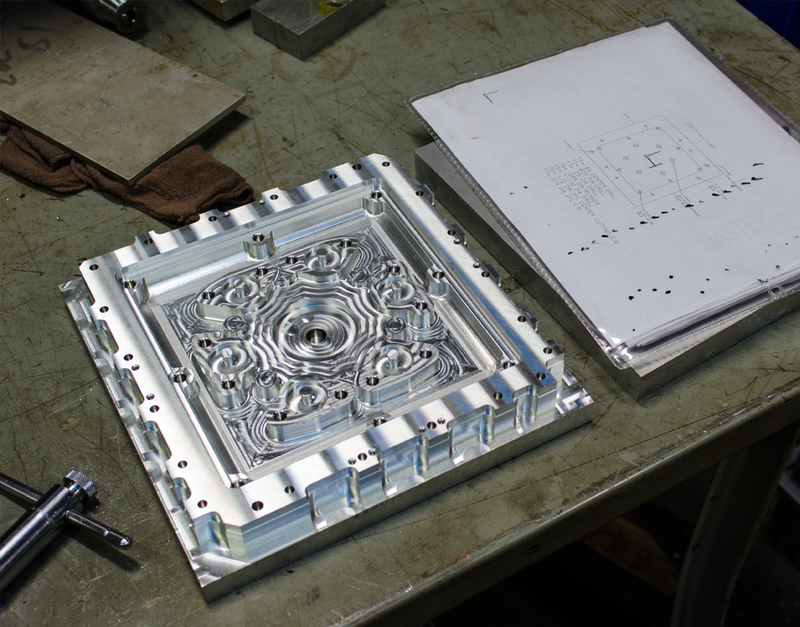 All components were set inside a custom fixture to hold them in precise place for ACE’s welders. Special filters were also created for the interior to minimize the escape of the Zeolite. 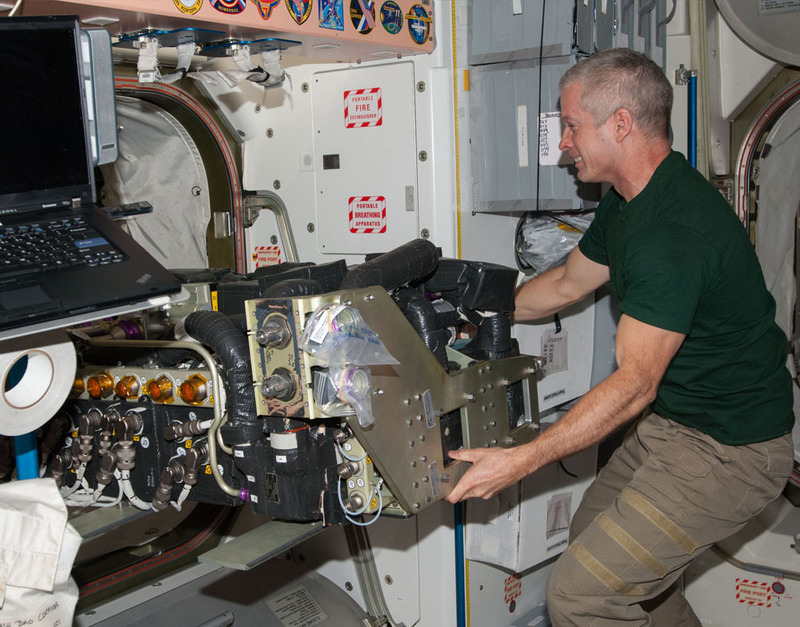 The CDRA is a vital component to the life support equipment in the air revitalization system of the ISS. ACE was honored to have been part of this exciting and very rewarding replacement operation, and look forward to the production of future equipment and components needed for space exploration. The following is a great tour of the space station by NASA Astronaut Steve Swanson, Expedition 39 Flight Engineer. At 33:40 into the video, he enters the Japanese Laboratory compartment where the CDRA are housed. 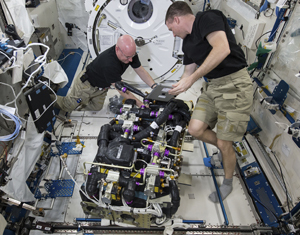 Astronauts Kelly and Verts working on the defective seals in the Int'l Space Station's CO2 scrubbing unit, the CDRA. NASA and Honeywell worked together to improve not only the seals, but an entirely new, next generation of the CDRA. 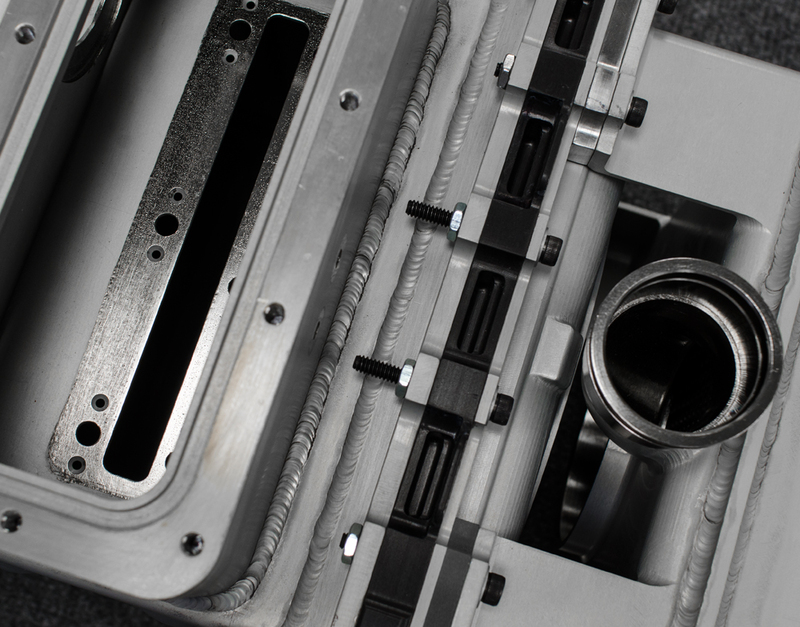 ACE doesn't design the parts we manufacture. But we do consult with our customers' designers and engineers to assist them with design and manufacturability improvements. On this project, we worked extensively with Honeywell's engineers to insure that the production was flawless. It had to be, there was no time to make mistakes! NASA was very concerned. Absence of the CO2 filtering units would have very dire consequences for our astronauts. This project involved virtually everyone in the company. And our team was awesome. Of course we think they are every day. But in this time crunch, everyone coordinated and pulled through to get the scrubbers produced – in record time. Failure of the first round of scrubbers really pointed out that the next shipment had to be right, and to last. Shuttle flights to the Space Station cost $billions, so were relatively infrequent and impossible to re-schedule. ACE did its best to insure the new units were ready, delivered on-time and built to last a long time.